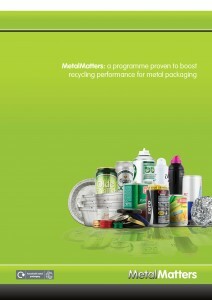 MetalMatters is a part-funded communications programme delivered with local authorities to boost recycling. The campaigns are funded by contributions from MetalMatters and partners including local authorities, waste management contractors and government. Two leaflet drops, typically six weeks apart, inform and remind householders about what and how to recycle, and explain what happens to metal packaging after it is collected. 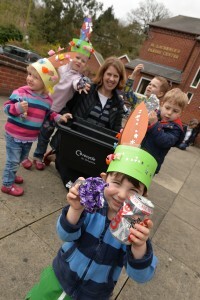 The communications materials are tailored to fit with existing local authority or waste partnership-branded campaigns. Using a simple-to-understand message and clear campaign visuals MetalMatters provides the ideal way to deliver a proven recycling campaign. A wide range of template materials is available to create an integrated campaign across any variety of media channels, tailored to suit local budgets. The availability of tried and tested, ‘off-the-shelf’ communications resources saves on campaign development costs. MetalMatters offers a hassle free, cost-effective campaign, with free advice and support at every step of the process. MetalMatters gives you an off-the-peg, ready-made solution and is certainly something we would recommend to other authorities. It is clearly a no-brainer that a time when public finances are strapped, councils should be investing more in quality communications. Based on our experience, local authorities will almost certainly see a guaranteed return on investment, uplift in recycling and less waste to dispose of, which also saves taxpayers money.